"Managed well - few complaints"
Standard Playtech casino. Licensed in Gibraltar. 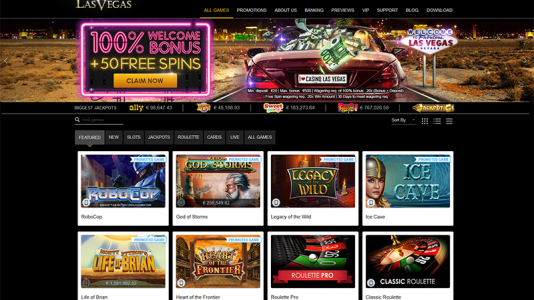 Casino Las Vegas has the standard Playtech assortment of games. 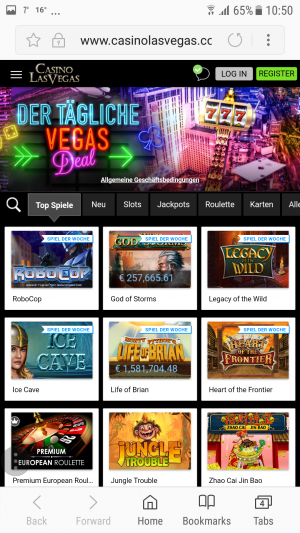 They are pretty much focused on slot games, live games are sparse – only ten are offered. Most of their Playtech games are mobile ready and friendly. Casino Las Vegas Terms and conditions Apply. Casino Las Vegas has been around for donkey years. They have a low profile at Casinomeister, but have had no recent complaints.